Living Now Book Awards merchandise is available to help our medalists capitalize on their winning status. Nothing sells books faster than a shiny seal on the cover. 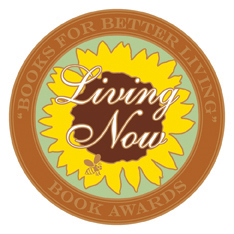 Visit the Living Now Book Awards website at www.livingnowawards.com to learn more about the awards and enter. Living Now Bronze Medal image. Living Now Gold Medal image. Living Now Silver Medal image. Living Now Bronze Medal image. Compatible with Adobe Illustrator CS6 and above. Living Now Gold Medal image. Compatible with Adobe Illustrator CS6 and above. Living Now Silver Medal image. Compatible with Adobe Illustrator CS6 and above.